A largely overhauled team from Barcelona lost to Levante (1-2) on the pitch last week. Led by 2 goals 5 minutes from the end of the match, the Blaugranas managed to narrow the gap thanks to a Coutinho penalty. In Liga, the Catalan formation truste the 1st place of the classification and remains on a nice victory with Eibar last weekend (0-3). 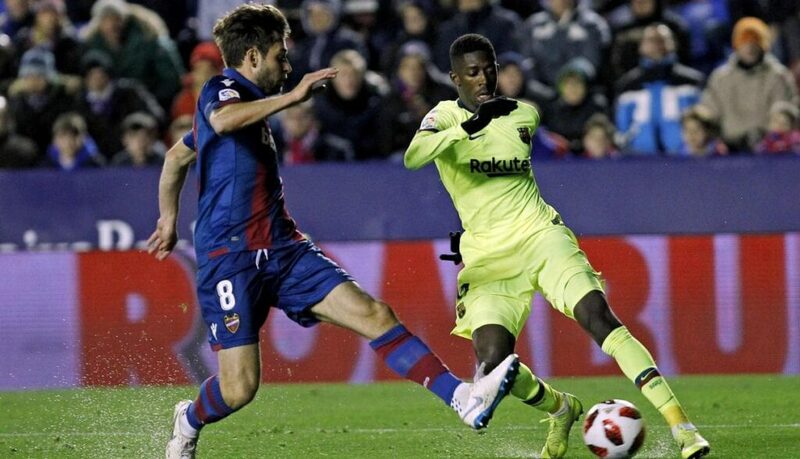 Supported by his supporters, Levante created a nice surprise in the first leg by logically dominating Team B Barcelona (2-1). 11th of Liga, the formation valencienne constitutes one of the nice surprises of this 1st part of season. On the road to Madrid last Saturday in the league, the partners of Roger Marti fell just at Atletico (1-0). Barcelona has to deal with injuries from Umtiti and substitute Vermaelen, Sergi Samper and Rafinha. For Levante, top scorer Marti, incumbents Bardi, Rober, summer rookie Vukcevic and long-term casualties Luna, Sadiku and Samuel are stranded in the infirmary.